This is the web store for the former Lynnhaven Pier in Virginia Beach. Whether you are a local, or have visited from afar, you can now get our Logo-imprinted gear shipped to you anywhere! Order your memento or souvenir online and we'll ship it to you! Lynnhaven Inlet Fishing Pier was Family Owned and Operated from 1956 to 2017. The completely wooden sport fishing pier was located on the beautiful Chesapeake Bay, in Virginia Beach. Lynnhaven Fishing Pier closed permanently on 5 November 2017 at 8:00 PM EST. We value each and every one of our customers that have graced the Pier over the past 61 years. From long-time regulars, to repeat visitors, to new-comers; we thank each and every one of you for your continued support over the years. 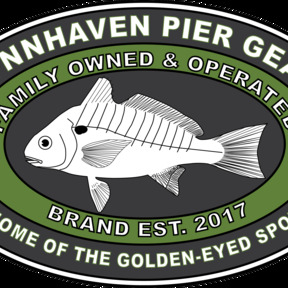 While we have not always had our own branded items in the shop, at all times; now you can get a little slice of Lynnhaven Pier sent directly to your door. "Outstanding family fun and memories!" This is the web store for Lynnhaven Pier. Lynnhaven Inlet Fishing Pier was Family Owned and Operated from 1956 to 2017. It is considered by long-time residents to have been a local landmark. The completely wooden sport fishing pier was located on the beautiful Chesapeake Bay, in Virginia Beach, off Starfish Road. It was the longest all-wooden sport fishing pier on the East Coast, boasting approx.1480 ft. (1/4 mile) of lighted Pier for fishing, crabbing, and family enjoyment. Lynnhaven Fishing Pier proudly served local residents, families, and tourists for 61 years. 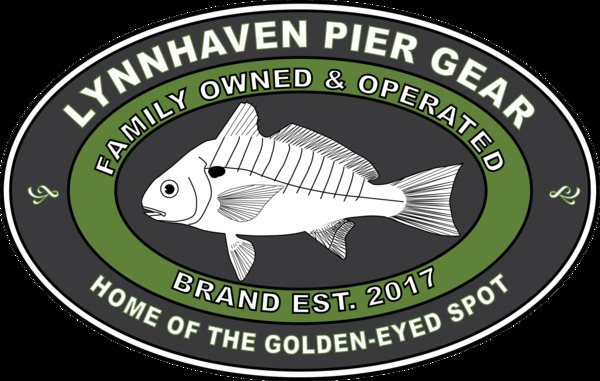 While we did not always have our own branded items in the shop, at all times; now you can get a little slice of Lynnhaven Pier sent directly to your door. Whether you are a local, or have visited from afar, you can now get our Logo-imprinted gear shipped to you anywhere! Lynnhaven Fishing Pier closed permanently on 5 November 2017 at 8:00 PM EST. Expenses for routine maintenance, and storm damage repairs, simply became too great to continue to sustain the Mom N' Pop-Style business. Items are now only available on our Web Store. Our physical location has been closed.